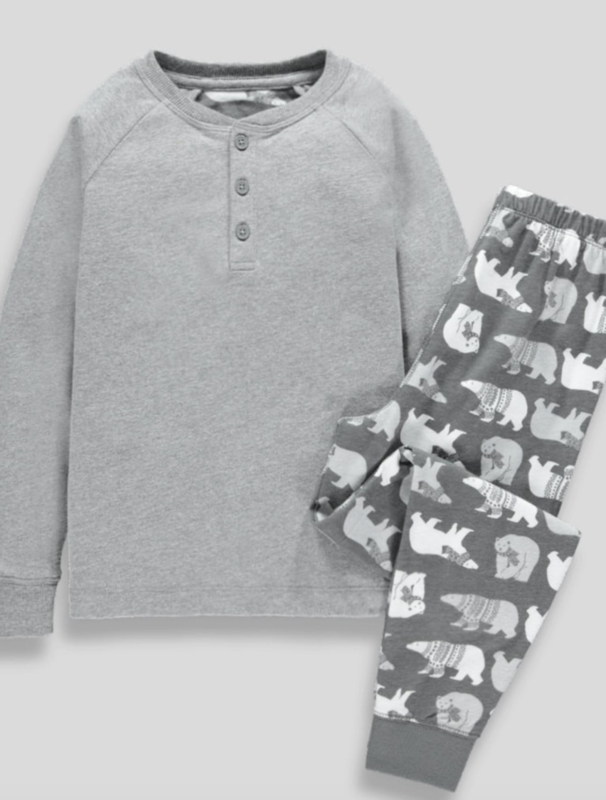 We know that finding toys for the kids can be easier said than done. 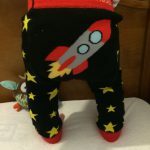 You’ll probably have stumbled across plenty of toy gift guides in your research but we wanted to share with you some of the toys that we’ve found, and love. 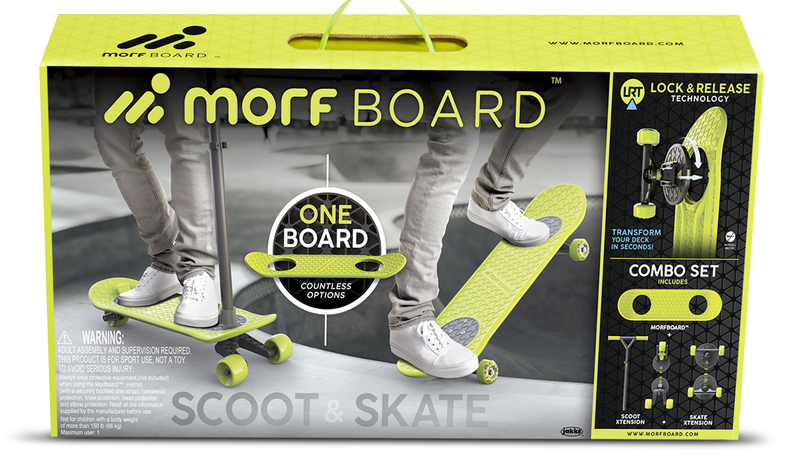 The MorfBoard; is it a scooter? Is it a skateboard? Well, it’s both! And it’s fantastic. Jack-Jack Attacks can go from spontaneously combusting and shooting lasers from his eyes to just being adorable in the blink of an eye! 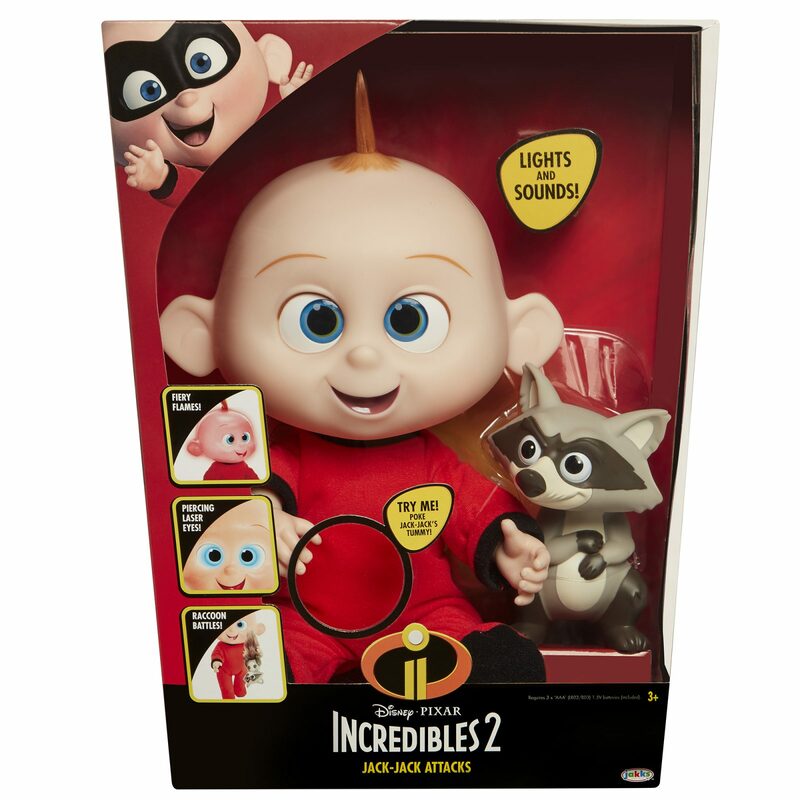 A great toy for any Incredibles fan! 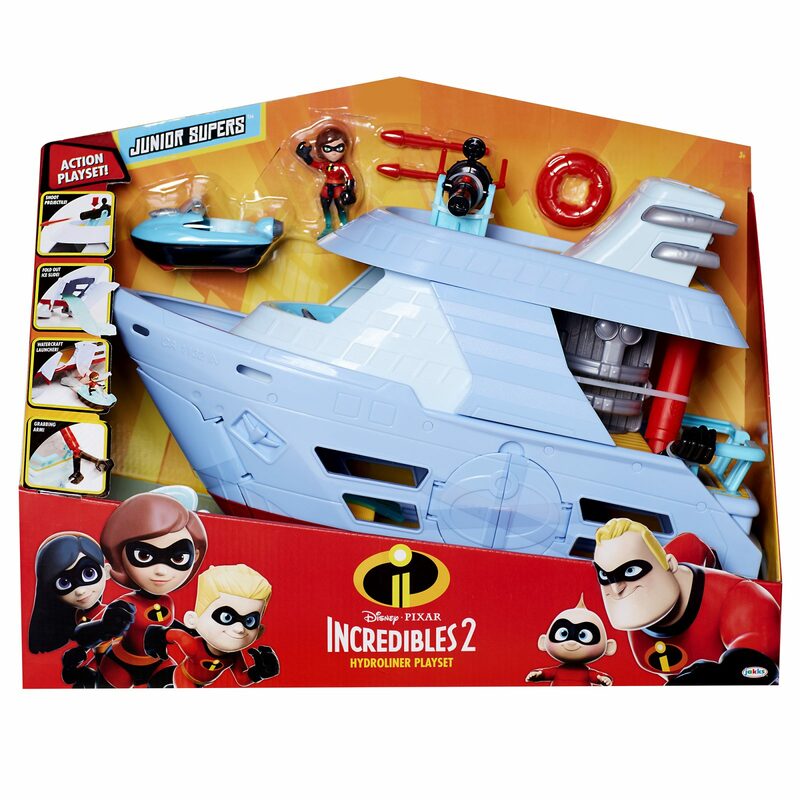 More from The Incredibles, featuring a Launching missile, Fold out Ice Slide, Watercraft, Grabbing arm, Trap Door, Rotating cooling chamber. 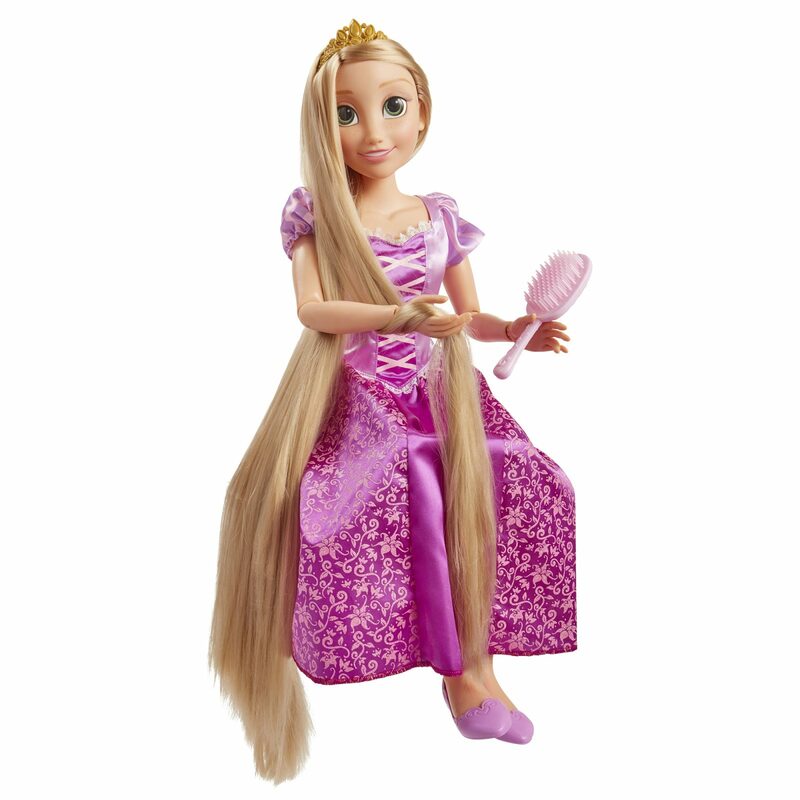 Rapunzel is a whopping 81cm tall and fully articulated, making her perfectly poseable for any adventure! I know my daughter would love this! That was 5 of our favourite toys on the market this Christmas – we’d love to know what you’re planning on getting for the kids so leave a comment below or head over to our Facebook page. Ok, on with the ultimate guide to the best Christmas ever! These guys look really happy but in all honesty she can’t stand him. As tempting as it can be to leave plans to the last minute this can actually worsen any eventual outcome. If it is not your year with the children then find out when you can see them. Coming to an agreement early on and knowing your plans can lessen the dread of the big day and also gives you more time to sort out your own plans. If you are expecting to host then set up a WhatsApp group with the people coming and if you have any particular traditions that you like to maintain then explicitly state them. What people like to do can vary greatly so outlining how you spend the day, and what you expect people to contribute, can really help. I know how annoyingly boring this is for kids but please learn from my mistakes. Don’t let the kids eat all the candy canes off the tree on Christmas eve and stay up till 9pm when they are usually in bed at 7pm just because ‘it’s Christmas!’. Just because it’s Christmas doesn’t mean they will not get tired and emotional the next day and they will inevitably be up at the crack of dawn to open presents and argue with each other. Christmas day can be quite a long day for children (and longer still for their parents) make it as easy and enjoyable for all by sticking to sleep routines. With sticking to the children’s routine in mind, make sure that family members don’t push boundaries by providing the kids with aforementioned candy canes or trying to persuade you to let them ‘stay up just a little longer’. 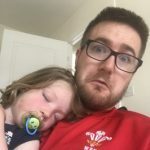 I’m presuming it is not this family member who has to deal with the sugar high (it never is – otherwise they learn pretty sharpish and don’t do it again) or deal with the overtired tears the next day. Your children, your rules. Should you be in the position of spending Christmas with family or friends who cause you emotional distress or stress then decide how to deal with potentially upsetting situations in advance. Take a walk, politely disengage from conversation, excuse yourself to do the washing up. Do whatever you need to do to preserve your emotional wellbeing. Ideally you won’t be spending Christmas (or any other time) with people who make you feel like this but sadly sometimes it is unavoidable. As it states on the Psychology Today information about how to avoid conflict with troublesome family members ‘always remember that you have absolutely no social or familial obligation to be victimised – ever’. In our family it is never a good idea to discuss politics and Christmas Day is not the exception that proves the rule. In fact it could be the day the rule was made for – on the one day of the year that it is acceptable to have a drink in your hand at 11am may I firmly but forcibly urge you to NOT mention Brexit. So you’re in charge of the Christmas lunch are you? Godspeed my friend. I’m not the main chef in our house but I have dabbled in Christmas lunch as sous chef and here are my top 5 tips to make sure that the meal is the main event. Had they never heard of the saying ‘too many cooks spoil the broth’? Margory was getting seriously pissed off with her sisters interfering. I am obsessed with preparing in advance as much as possible so that you are not stuck to the oven away from all the festive fun. Peel veg in advance, make gravy and do all the deboning of the turkey in advance. Everything you can do the day, week or month before, DO! For more tips on what you can prepare early see here. 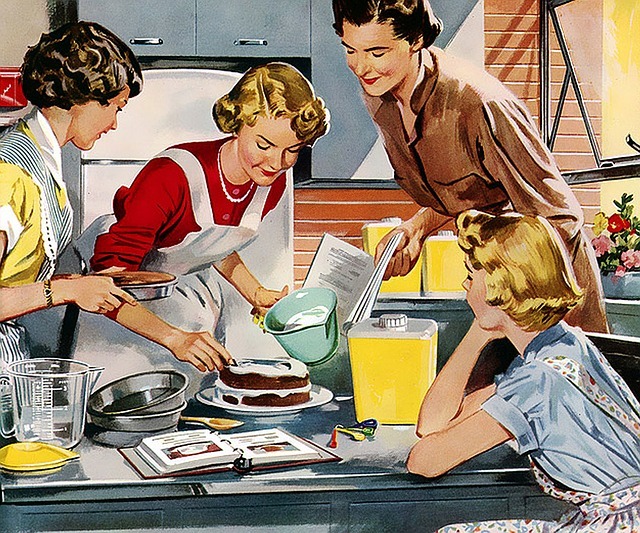 Get people to bring a dish or turn it into a family affair and work alongside one another in the kitchen. Refer to your list and allocate certain things to certain people (who’s laughing about the list now?!) that way if the parsnips burn you all know who is responsible! Essential if you are the designated chef. No one wants you picking at the food continuously until lunch time and if you’ve had a morning glass of champers (as is tradition in my household) there is a serious danger of a tipsy chef being let loose on proceedings. We all know that the real star of the show are the roast potatoes. 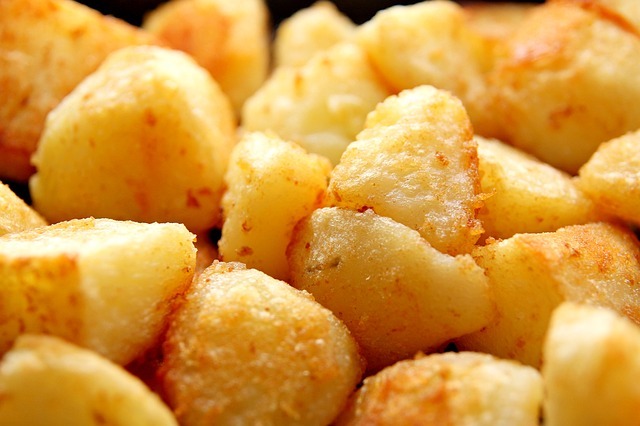 For an extra crispy potato add half a teaspoon of baking soda to the water in which you boil them. The higher pH breaks the pectin down more quickly, giving you fluffier edges and more surface area to crisp up. You’re welcome. These potatoes look average, at best. My children love doing arts and crafts and I love my house being decorated to within an inch of it’s life (think Santa’s grotto crossed with Aladdin’s cave). Our combination of interests mean that Christmas is the ideal time to let them unleash their artistic sides whilst creating some fabulous new Christmas decorations which we can keep and treasure (or pop into the loft with the intention of getting them out next year). If you are not particularly arty then this is the tip for you. Anything from your garden (that doesn’t move) covered in glitter or painted silver or gold will look Christmassy. 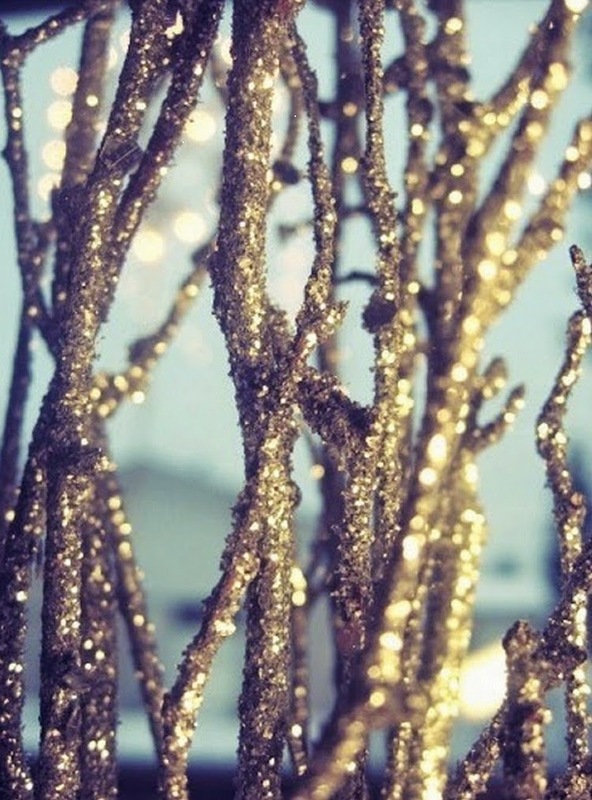 Spray, paint or attack with glitter the following things: twigs, leaves, holly or ivy. Make a modern Christmas tree with spray painted twigs and hang decorations on it, or just hunt for holly and place it as it is above your picture frames. These homemade candy canes would look lovely on the tree and are a brilliant activity to help your kids hone their fine motor skills. Make using pipe cleaners and beads. Make sure children are supervised when making them to ensure no beads are swallowed. Homemade Christmas cards are wonderful to make and receive. 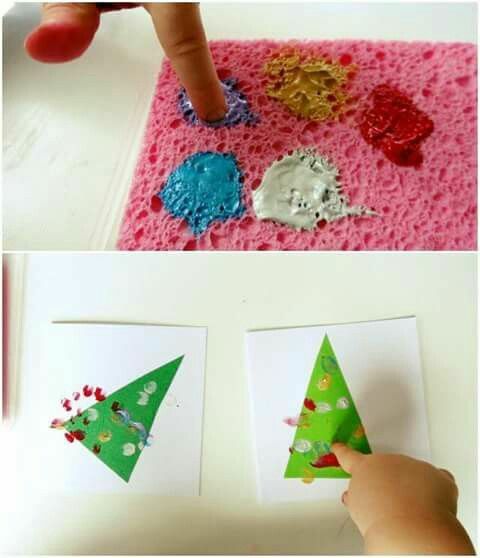 There are so many different things you can do to make a fantastically festive card (for a selection of ideas see here) but below is a very simple one for tiny tots which combines messy play with festive fun. 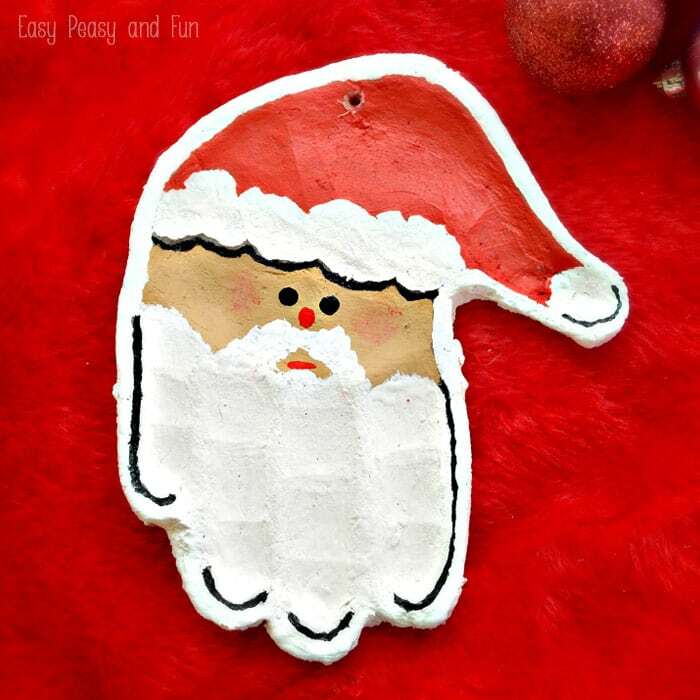 A salt dough ornament is a lovely keepsake and this one is more so because it is made out of the handprint of your little one. Find ingredients and instructions over here. Here’s one someone else made earlier. If you’re looking to use things you already have in the house then the likelihood is that if you have kids, you have pasta. 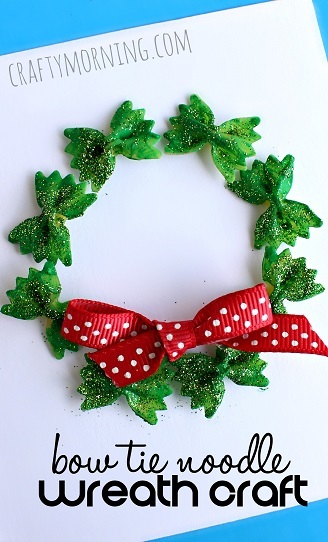 Make this sweet wreath using pasta, green paint and glitter. 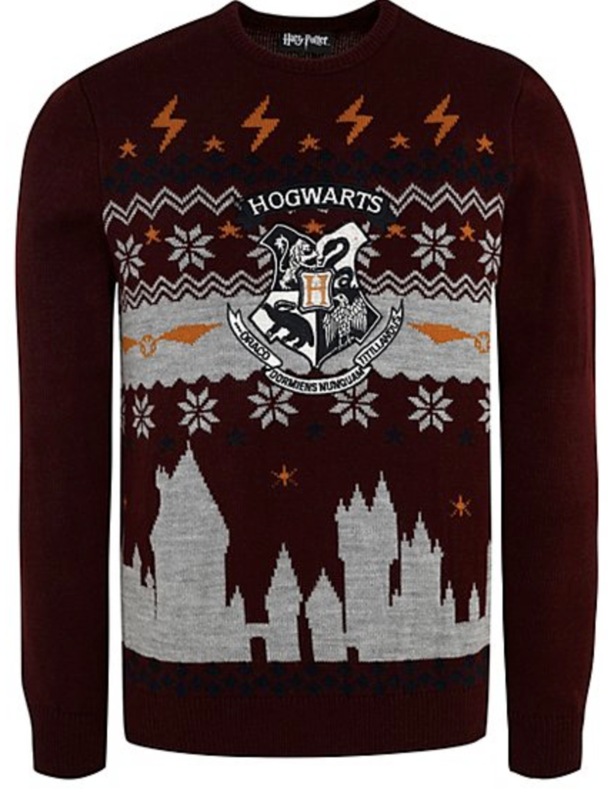 I’m not usually a fan of character themed things, but for Harry Potter I make the exception! Get this one from Asda here. 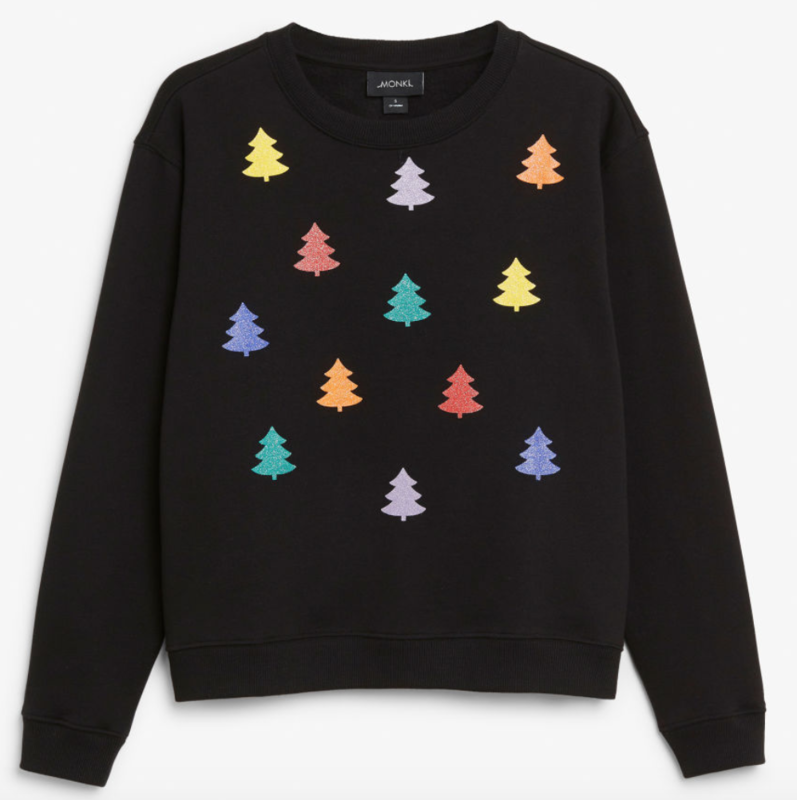 If you’re not a fan of knitwear then this sweatshirt style from Monki is perfect. 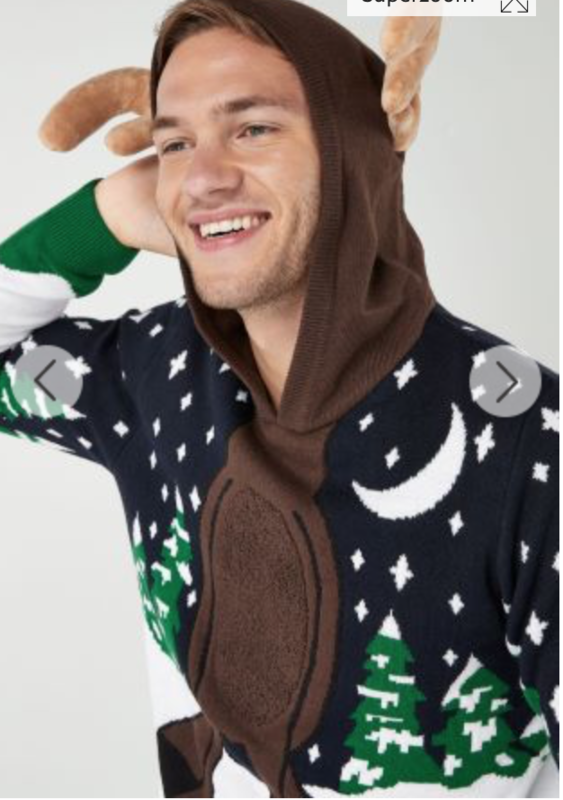 If you are the kind of guy who is going all out in the reindeer stakes this year then this jumper from next is for you. 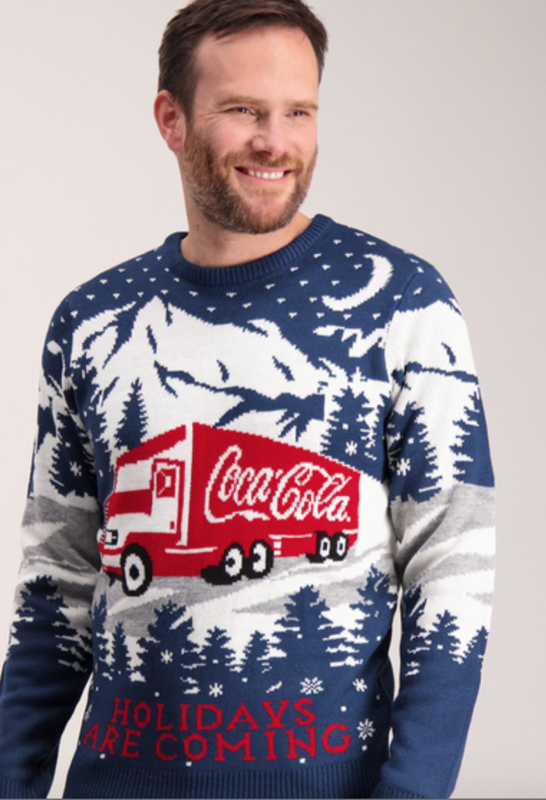 We all know someone who gets disproportionately excited about the Coco-Cola advert (it’s me). Get them a jumper to get excited about instead! 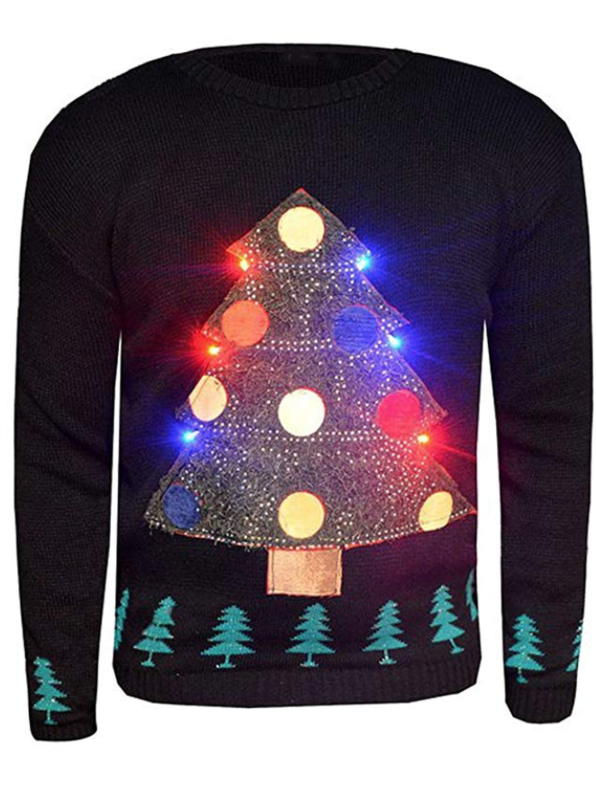 If you want something more than just a Christmas jumper – how about a Christmas jumper that lights up? Sign me up. In my opinion if there is one day more magical than Christmas it’s Christmas eve. The excitement is always palpable in our house and I love the little things that people do which makes Christmas eve a special time for their families. 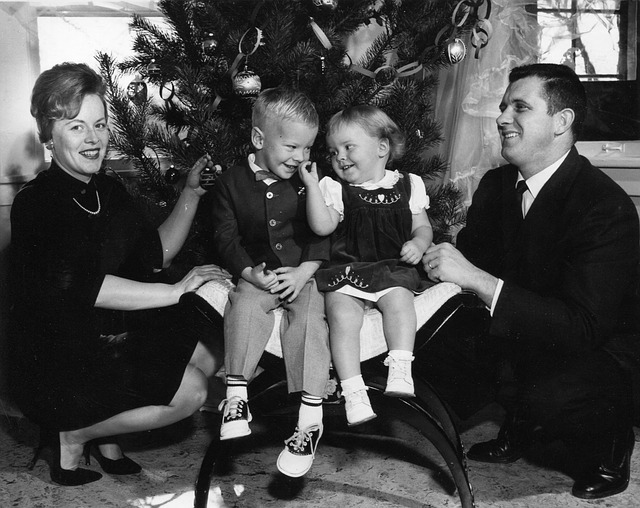 Here are 5 things we do to capture the spirit of Christmas. I’m not sure about in your house but in my house Father Christmas LOVES a nice cold glass of Prosecco and a warm mince pie. We always leave a note, a carrot and some reindeer food too. 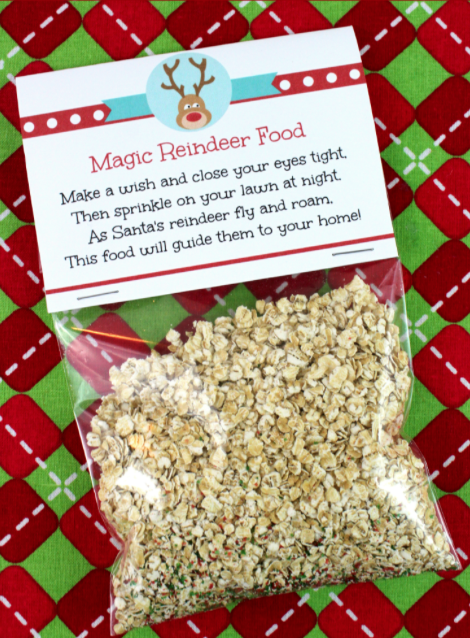 You can make reindeer food with oats and glitter (if you leave reindeer food with glitter in then please don’t put outside as can be hazardous to garden wildlife). I realised last year that there really is no need to buy any new Christmas stories as I was able to curate a whole box of relevant books just by rooting through the kids existing stash. Stories about snow (we found an Elmer one) penguins and Father Christmas are read to my children before they go to sleep – thus keeping their usual routine with a Christmassy spin (weirdly a story called Father Christmas needs a wee is a firm favourite in our house all year round). I have just bagged two Christmas LP’s at our local charity shop for £1 for some Christmas eve easy listening. We always attend our local church on Christmas eve for Christingle as nothing feels more like Christmas to me than children singing carols by candlelight. Totally appreciate that’s not everyone’s bag so whack on Wham or warble along to the Buble. I’ll be dancing to The Pogues’ Fairy Tale of New York later too. Whatever floats your Christmas boat – put it on and turn it up! This is my very favourite part. When the kids are in bed we commence the last minute wrapping and essential wine drinking portion of the evening. 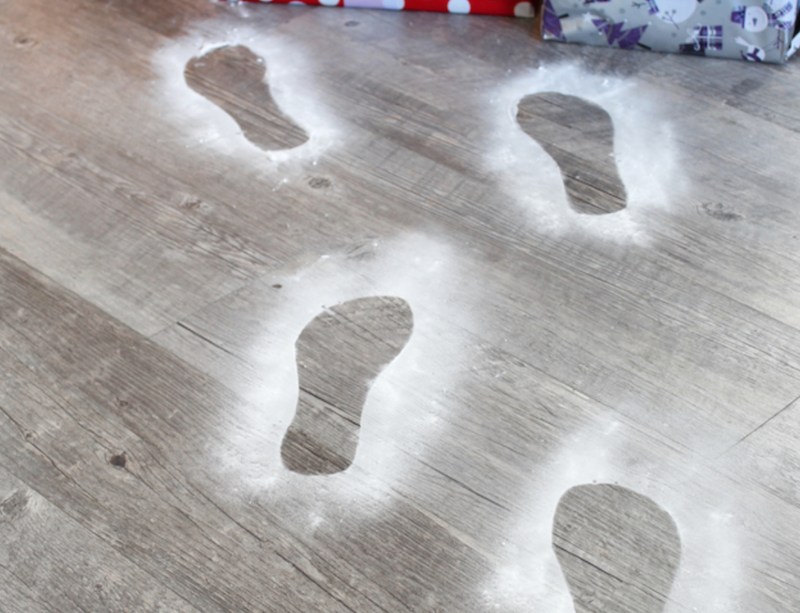 Then we make Father Christmas’s footprints out of talcum powder and lead them from the fireplace to the stockings. The kids haven’t clocked that we don’t have a real fireplace yet and they love coming down in the morning to see the mess that Father Christmas has left behind. After putting the footprints down and necking an inordinate amount of wine whilst wrapping the final stocking gifts we collapse exhausted into bed, all ready for the shrieks of excitement that act as our alarm on Christmas day. 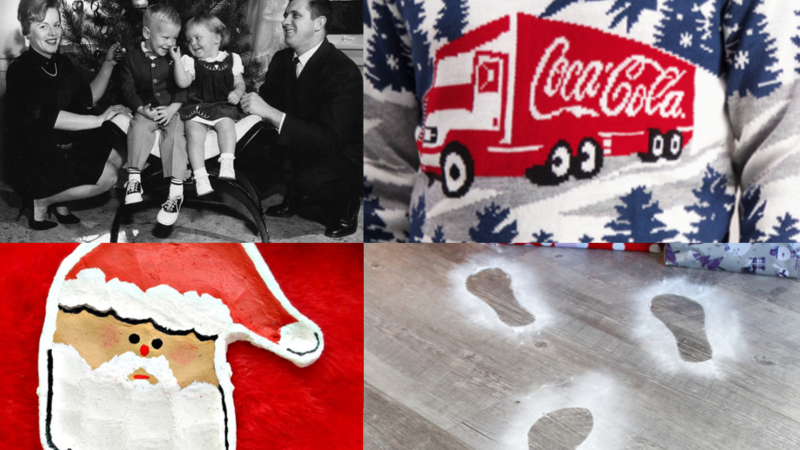 This website used baking soda for their footprints which would probably avoid the ‘why does Santa’s feet smell of babies?’ question. And there we have it! 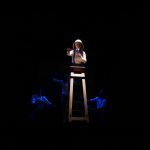 A comprehensive guide to all that we love about Christmas wrapped up with a big red (imaginary) bow! Now your Christmas dinner, jumper, traditions, toys and crafts are sorted – what next? How about you sink back into the sofa, unwrap a quality street and pour yourself a nice glass of something cold. Or alternatively leave us a comment here at Dadsnet and let us know what you love most about Christmas! Cheers! You wouldn’t need to look anywhere else for Christmas advice! This is fantastic!